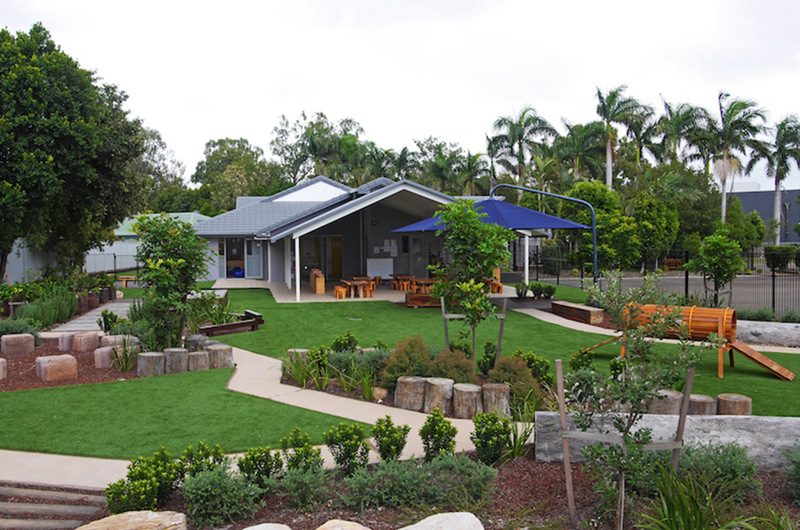 This play space makes the most of its subtropical setting. 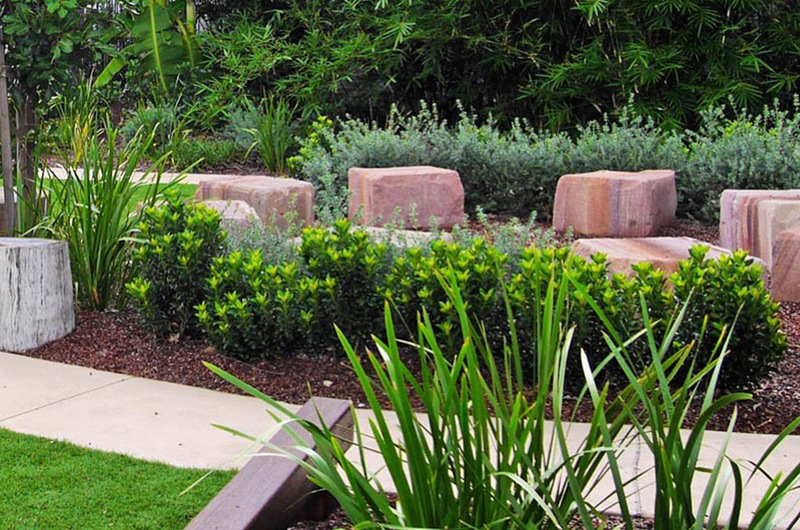 The lush, abundant gardens divide well planned play areas that allow every play type and personality type to flourish. 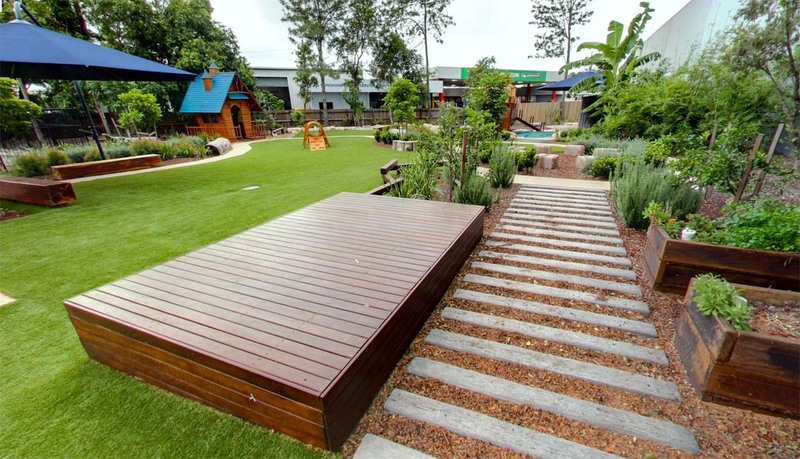 A large active play zone takes centre stage, enclosed by a bike path and gross motor elements that wind throughout the connected garden spaces. 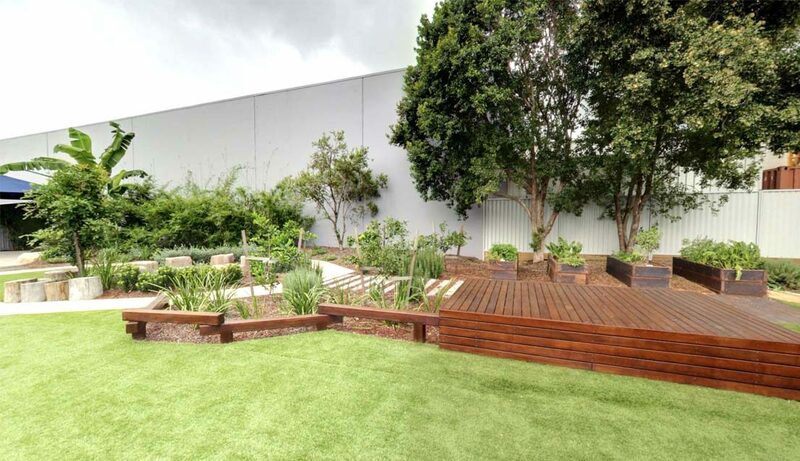 The water play creek bed leads to a large timber pirate ship that seems to float on a huge natural sand pit, against a garden back drop of native and productive plants. 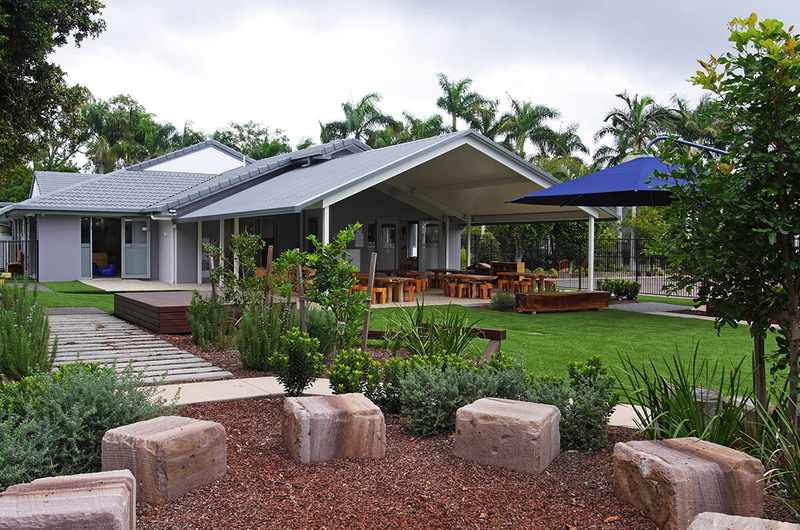 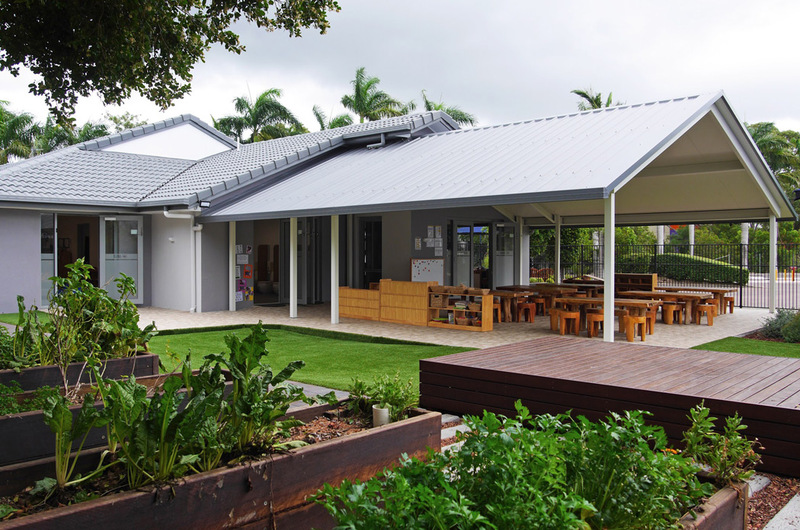 A sandstone reading circle, gross motor elements, cubby house, nature walk, performance stage, citrus grove and productive garden provide nooks for passive play to discover throughout the space.